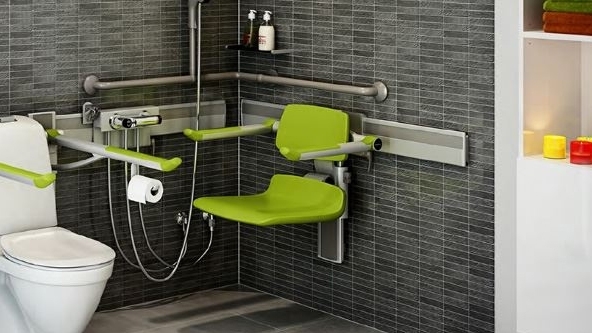 Pressalit Care PLUS shower seats are available in two sizes and 6 colours - White, Anthracite, Dark Blue, Lime Green, Orange and Red. The 310 Series is for children and small adults. It has a 365mm wide x 310mm deep padded seat, and a height adjustment range of 250mm. The 450 Series is for adults. It has a 440mm wide x 450mm deep padded seat, and a height adjustment range of between 195-500mm.